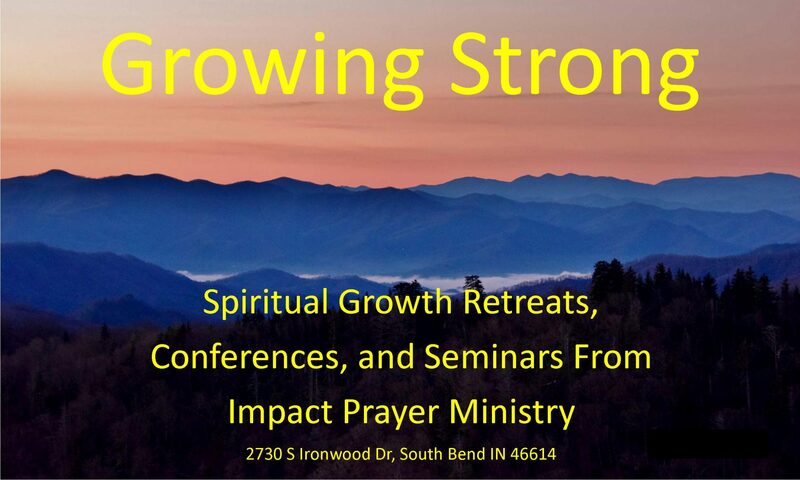 Growing Strong is a spiritual growth retreat, conference, and/or seminar that can be brought to your location! Each Growing Strong session is custom-tailored to meet the needs of the host group, camp, or church and is led by Impact Prayer Ministry’s director, Tom Lemler. God calls us to “be strong in the Lord and in His mighty power.” The strength that we ought to have comes from a growing relationship with God, so Growing Strong is about drawing near to God so that He will draw near to us. Impact Prayer Ministry is currently working to schedule the Growing Strong material as retreats, conferences, and seminars in churches and camp settings. Contact us for information about having a spiritual growth retreat at your location.